Let's be perfectly honest here and admit that Island is not your typical horror novel. It's far darker, and way more sadistic. There's a layer of grit there too that adds to the tension and uneasiness of how it all develops. Is it perfect? No, it's not. The story is told through the journal of Rupert Conway, and we see things through the eyes of a horny teenager which makes sense because we can see early on that Rupert isn't exactly a hit with the ladies. Hell, when we were eighteen, being stranded on a deserted island with three women would be heaven. As a narrator, he's simply doing the best he can. Instead of telling us everything, he's telling us what he feels we should know. The facts of what's happening, and little else. We see things through his eyes which makes things interesting. It's a unique approach, and pays off well as the story begins hurtles to its conclusion. Laymon's hero, isn't your typical hero, but it works well because we get to see this character become a man, or at least the man the surviving women need him to be. Rupert isn't likable, and does some real shady things, but we can't help but cheer for him. What he doesn't add is the grief, and raw emotion the women go through as they lose both a father and a husband. Some of their actions left me scratching my head, but sometimes Laymon's female characters are like that. He gives us what most men perceive women to be, and the men act exactly the way women think we act. 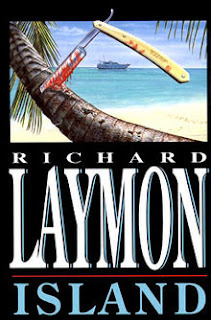 It doesn't detract from the novel at all though, and Island simply put is one of Laymon's best novels. Island is brutal in its delivery, and assaults your senses. It's the kind of novel that gets under your skin, and stays there. It's not subtle, and that's what makes it so good. As a writer, he knows how to guide you along so you're invested in the story. Not once does he play it safe, or give us what he thinks we want. He doesn't hold back and even with its flaws it's still a compulsive read. He shows us once again the dark side of human nature, and it's unsettling because when you think of a deserted island you think of Gilligan's Island, not Lord of The Flies, and certainly not Island. 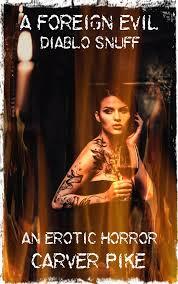 While most will balk at Laymon's approach to horror, the fact is, no one wrote the way he did. 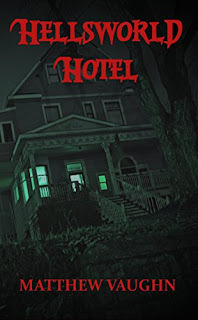 He had a unique approach to horror, and what he thought it should be. Island is certainly one Laymon's best novels and proves that in horror nothing is safe, even when you're stranded on a desert Island.